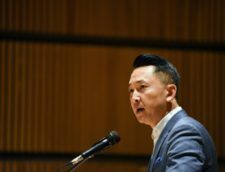 Viet Thanh Nguyen discusses the role of trauma for refugees as well as his personal experiences in this interview with Ravi Gurumurthy and Grant Gordon for Displaced. Ravi Gurumurthy: Hello and welcome to Displaced. I’m Ravi Gurumurthy. Grant Gordon: And I’m Grant Gordon. Ravi Gurumurthy: And this is the podcast to listen to if you’re interested in the causes and consequences of war. Grant Gordon: Today on the show we have Viet Thanh Nguyen, who is a fiction writer and literary scholar who has focused on Vietnam war as well as detailing the stories of refugees, and displaced. He is unusual compared to our wonky guests, but has and offers profound insight onto how to think about the global displacement crisis and refugees more broadly. Ravi Gurumurthy: Viet Thanh Nguyen’s 2015 novel The Sympathizer won the Pulitzer Prize. Last year he was named the MacArthur fellow, and this year he added to that collection of essays called The Displaced. Grant Gordon: This was a really fascinating conversation. We dove into deep discussions of identity, of the way that trauma manifests itself in story telling, of arts, and it really got into a different way to think about the displacement crisis as well as this broader political moment. Grant Gordon: We had a great time, and think you’ll really enjoy this episode. Without further ado, here’s Viet Thanh Nguyen. Ravi Gurumurthy: So, you and your family came to the US as Vietnamese refugees in 1975, can you just tell us a little bit about that journey, and how did you realize that you were a refugee? Viet Nguyen: In 1975 the Vietnam War ended badly for my side, and my parents were and we … my brother and I were four out of 130,000 Vietnamese refugees who came to the United States. And we ended up in one of the four refugee camps set up to hold us. Ours was Fort Indiantown Gap, and in Pennsylvania. And that’s where my memories begin as a four year old. Viet Nguyen: And I don’t think I understood myself as a refugee. That word, and that concept was beyond my understanding, but I definitely knew that something bad had happened to us because in order to leave that refugee camp you had to have a sponsor, but there was no sponsor willing to take all four of us. Viet Nguyen: So, my parents went with one sponsor, my brother went with one sponsor, and four year old me went with a third sponson, and that’s where my memories begin, being taken away from my parents, hollering and screaming. And intuitively, at that point, I knew I was a refugee. Ravi Gurumurthy: And full separation has obviously been in everyone’s mind this year with the awful sounds and images of children being separated at the border. You know exactly what that’s like because I think right at that beginning process you were separated from your siblings for several months, and you wrote that it remains, to this day, an invisible brand stamped between your shoulder blades. Viet Nguyen: Yeah. I think, again, at that age I had no way to rationally make sense out of what was going on, but I certainly was emotionally imprinted by that experience, and my experience was benevolent. I was taken away from my parents and sent away for a few months, and the reason behind that was actually benevolent because the sponsors wanted to give my parents the opportunity to get on their own two feet without having to worry about taking care of their children, but obviously as a four year old you don’t understand that. Viet Nguyen: So, I understood it to be an emotionally damaging experience. And so I can imagine, I can empathize with what it would mean for children today to be separated in a not benevolent fashion from their parents at the border and how damaging that would be, even if it was only for a few months. And obviously in many of these cases it’s not just a few months, it’s many, many months and going on for even longer. Viet Nguyen: I think that my way of coping with that experience was to submerge it. Not that I ever forgot about it, I understood, I remembered that I had been taken away from my parents, but I refused to deal with that emotionally, and it definitely shaped who I became as a young person. Shaped my inability to emotionally connect with people. I mean, it turned me into someone who’s afraid of being abandoned, and that would have a deep impact on my relationships with people inside my family, and outside of my family. Viet Nguyen: So, I know … I can predict that for many of these children today who are being separated from their parents, they will definitely be damaged by what has happened to them. Grant Gordon: Well, that actually speaks to one of the things that I wanted to ask you about. In your writing you do a fantastic job of portraying, kind of complex, different characters who are refugees, and who’ve been displaced, and I think one of the things that I think is challenging and that I’m sure you experienced in different ways is the difference between growing up as a refugee in the United States versus actually just growing up as more of a marginalized population as a Latino, or an African American who may have actually been born in the United States. Grant Gordon: And I was wondering kind of as you came of age, what you think of as the differences between, and how you experienced the differences between being a refugee as compared to just more kind of marginalized citizens? Viet Nguyen: Well, I think there’s so many, different ways that these experiences have taken place. I mean, the populations that you mention were all minorities or marginalized in different ways in this country, and what has happened to African Americans can’t be compared to what has happened to Latinos or what has happened to refugees. But I think the specific nature of the refugee experience in the United States, and this is not true for every country but in the United States is that we fall sort of under the idea of the immigrant, and yet not. Viet Nguyen: So, I think our closest kin are probably the undocumented immigrants. You know, because this is a country that mythologically still believes itself to be a nation of immigrants. Now, there are some people in this country who don’t want immigrants to come to this country, but they still believe in the idea that immigrants want to come to this country because it’s an awesome country. Viet Nguyen: But refugees, we talk about them as if they’re immigrants, but they’re not. And one of the ways they’re not is that refugees are unwanted where they come from, and typically unwanted where they go to. So, people who come here as refugees know very soon, that they shouldn’t call themselves refugees. Viet Nguyen: I went recently, for example, to a high school in [inaudible 00:06:31] that has a refugee program subbed specifically for refugee students, and I was told, “You’re gonna speak to a lot of refugees students.” So, I got up in front of them, and I asked them, “How many of you are refugees?” And no one raised their hands. Viet Nguyen: And then I asked them, “How many of you are immigrants?” And then they started to raise their hands. So, they were definitely refugees, but they already knew after a few months or a year or so in the United States that they shouldn’t call themselves that because there is something stigmatized about being a refugee. There’s still a way to get into this country culturally, politically as an immigrant and that’s what people choose to identify themselves as. Viet Nguyen: So, I think that’s one of the key ways of separating out the refugee experience from, let’s say, what happens to documented immigrants or Latinos who come in a documented fashion. So, in that way refugees, and the undocumented, I think, are undocumented, or cousins in knowing that they should be fearful of how they are perceived here. Ravi Gurumurthy: And that’s so interesting because I sometimes see another context, people making an extinction between migrants and refugees in a way that positions refugees as the more legitimate and deserving. They’re the people we absolutely should open our doors to because they’re fleeing prosecution where sometimes migrants can be almost demonized as economic migrants who come in to take jobs, and ones that we should put up the borders to. Ravi Gurumurthy: So, I think it’s fascinating that you say that it’s actually something that people feel they need to brand themselves as migrants. Grant Gordon: Well, it’s also interesting because … I know that we’ve talked about this before, but there’s kinda public opinion polling that’s come out in, at least European context, that evidences what you’re saying, Ravi. So, people believe that refugees … they’re more supportive of refugees being brought into their countries than economic migrants. Grant Gordon: And two other things that this makes me think about from time to time is one kind of to your point, Viet. People don’t know automatically whether you’re a refugee or an immigrant. Of course, it depends on where you come from, and the country, and alignment culturally or linguistically, but people aren’t wearing t-shirts that say whether you’re an economic migrant or a refugee. Grant Gordon: So, it’s more conceptual than felt or experienced, but then the second thing is that data is from Europe, and not from America. America has a long tradition that you’re pointing out where the mythology is based around economic mobility, economic migration, [inaudible 00:08:50] in a way that, that’s what’s needed to adapt to become a part of the American narrative, and so I also wonder if at least in the US context it’s more of a function of just being the right type of … fitting into the right type of narrative? Viet Nguyen: I think that’s absolutely the case. And I was thinking very specifically of the European example where they don’t really have a cultural or mythological tradition of the economic migrant, or the immigrant. Viet Nguyen: The refugee, I think, as greater approaches on the European imagination because of the events of the 20th century, the earlier great refugee crisis occurred during, and after World War II and there was great, political and moral cause to welcome refugees in the years after that, right? Viet Nguyen: I think Europeans felt guilty about not having taken in refugees, for example, in certain cases during World War II. So, now there is great, moral urgency for taking in refugees, economic migrants however in Europe, I think, are perceived as being culturally different, and not having any kind of really moral legitimacy wrapped around them. Viet Nguyen: And I think it is different in the United States because we don’t use the term economic migrants for the most part. I think that is beginning to surface now, but traditionally we haven’t used that because the idea of the immigrant has been all encompassing, and of course it’s included the economic dimension because it’s wrapped up again with this American mythology of the American dream. Viet Nguyen: People come here to remake themselves, which includes remaking themselves not just culturally but economically. So, the American dream, and immigration is completely wrapped up with this idea of economic … climbing of economic latter and getting greater economic mobility that people didn’t have wherever it is that they came from. Viet Nguyen: But I think that’s starting to change a little bit because of the new administration, or the current administration, and that administration’s xenophobia is also wrapped up with the fear of immigrants who are economic immigrants. And specifically the idea that these kinds of immigrants are coming to take away American jobs, or to drain American resources. Viet Nguyen: So, that conflation of cultural xenophobia with economic competition, which is not new in American society. It’s been there for a very long time, it’s just now experiencing resurgence, and emphasizing the economic dimension of migration. Ravi Gurumurthy: You’re making me realize that I’m actually more British and European than I like to admit because I obviously reach for the refugee framing as being more legitimizing, and welcoming than the sort of migrant family. Ravi Gurumurthy: I was trying to get back to something you said a bit earlier, which was about how refugees can feel a sense of belonging, and how the experience of being a refugee changes them, both consciously, unconsciously, and you’ve written about this and said that it happened to you, and others. That need to belong changes you. Ravi Gurumurthy: Can you just say a little bit about that personally, and how you therefore think that a sense of belonging can be nurtured? Viet Nguyen: Well, one would, I think draw another distinction between refugees and immigrants is that immigrants may not feel the sense of loss in the same way that refugees do. Immigrants have, for the most part, made a voluntary choice to move from one country to the next, and oftentimes they move under circumstances in which they’re allowed to go back. They either can go back permanently, for example, which has happened often in American history or they can go back on a periodic basis, and be binational or bi-cultural, or go back to visit the country of origin, and their relatives. Viet Nguyen: And so, in that sense I think the sense of belonging, or the sense of loss that leads to a greater desire for belonging may not be quite as acute for first generation immigrants. Obviously they also have problems with belongings as we see with immigrant literature, and immigrant culture, and that might be more pronounced for the 1.5 generation. But refugees are, again, here distinct because they’re oftentimes forced out of their countries of origin because the countries have collapsed, the states have disintegrated for various kinds of reasons, and they can’t go back. They’ve been prosecuted for example, or there’s nothing to go back to. Viet Nguyen: So, in that sense I think because they have nothing to go back to, the sense of loss and the desire for belonging is even more accentuated than it is for immigrants. And in my particular case, and I think my case is not unique, I felt myself caught in between. Viet Nguyen: I certainly wanted to belong to the United States but felt a sense of refusal, or alienation for a variety of different reasons. And I also knew that I had been displaced, not by my own choice or by my parent’s own choice, from Vietnam, the country of origin. And I think that sense of not belonging to either place was very formative for me, and for a lot of first generation refugees. Viet Nguyen: That’s probably not as true for our children. My son is the son and the grandson of refugees, but he’s growing up as a middle class American, and if I didn’t interfere with that he might have no sense of loss and no desire for belonging, but in fact, I try to remind him that this is his history. This is where he comes from. And for better or for worse maybe he’ll have a lingering sense of that desire that was so much more pronounced for me, and for my brother. Viet Nguyen: And while that’s very painful for us who actually went through it, I think there was something beneficial to it, something that imbued me with a respect and an empathy for those who’ve been displaced, those who’ve been alienated, those who have lost their homes, which has turned me into the writer and the person that I am. And I wanna give that to him because I think it’ll make him a better human being. Ravi Gurumurthy: So, I think that sense of not quite belonging anywhere is something that really resonates with me, and alow I think you’re absolutely right that it is different for somebody as a refugee who’s been forced to flee compared to a migrant. There are some overlaps particularly for sort of second generation immigrant like me. Ravi Gurumurthy: So, I feel some tenuous connection to India, but slightly cut off because I didn’t actually go there very much as a child. And yet, I’ve never felt particularly connected to being British. I grew up struggling to support the football team, never really feeling any sense of national pride until I was really an adult. Ravi Gurumurthy: And my route to feeling attachment and belonging was not through the nation, it was more through community. It was through attachment through being from the north of England from a town [inaudible 00:15:12], a local football club, and gradually I felt my attachment and sense of belonging widen to some sort of national identification, and I started to feel comfortable in being attached to multiple identities. Ravi Gurumurthy: In terms of your evolution, or the evolution of refugees, and how they form attachments, and belonging, how do you think that tends to progress? Viet Nguyen: There’s such a wide spectrum of possibility as you were saying. That means our affiliations may be local, they may be regional, they may be national, they may occur with things outside of the nation as you’re talking about with football, and so on. And it’s hard to predict because I just described how I dealt with being a refugee and I felt like I had developed a greater sense of empathy for other refugees, and immigrants, and the displacement. Viet Nguyen: Yet, there are other Vietnamese refugees in my generation, or older generation who have no sense of empathy as far as I can tell for refugees, and for immigrants, and who have a huge attachment to national identity, bot to the refugee nationalism of the displaced Vietnamese people, and their affiliation with their lost country, and to a Trumpian kind of nationalism as well. There are a lot of hardened Trump supporters among the Vietnamese refugee generation, so, it’s very unpredictable. Viet Nguyen: I think my background is probably a little bit closer to yours because I felt, growing up, that I was technically an American, and I saw myself as that, but I also felt like I wasn’t an American, and I wasn’t really attached to things like the star spangled banner, or pledging allegiance. I always felt a kind of skepticism to the symbols of nationalism, not just America and nationalism, but all kinds of nationalism. Viet Nguyen: So, I think that it’s really, really hard to predict, and that’s why there’s such a struggle over these questions of who we are, what we belong to, and what we’d make out of our experiences. Some people are confronted with the experience of exclusion or of immigration, or being a refugee, and their reaction is just to want all those signs of belong really, really strongly to become American for example, or to become British, and to exclude everyone else. Viet Nguyen: And others look at that process of exclusion and think, “Well, we shouldn’t replicate it for others. We should focus on the nature of exclusion itself and try to build a society that doesn’t exclude others.” And that’s the project that I find myself aligned with. Grant Gordon: That was a great answer to Ravi what I thought [inaudible 00:17:35] model of identity formation, which is a big one, and a challenging one. One of the things that I wanted to pick up on that you were talking about kind of there, and that you’ve talked about in your writing quite a bit is the need to generate empathy, and you’ve noted that you oftentimes insist on calling yourself a refugee because it reminds you to display empathy. Grant Gordon: I think one of the interesting things that kind of micro level research is starting to kind of come out with is some generalized evidence that people who are actually exposed to traumatic experiences like violence tend to be more cooperative, and empathetic. Those tend to … they tend to [inaudible 00:18:17] numbers of refugees, exhibit stronger preferences for distressed refugees, less out group bias. This is some kind of interesting [inaudible 00:18:26] level work that were thrown in the show notes by Chris [Butman 00:18:30] and colleague, that’s starting to come out, and one of the things that I think your writing does actually really complicate a lot of the narratives, and the stories that we see around refugees. Grant Gordon: And I’d love to hear your reflections on how you think about both creating empathy, what its role is in, the characters that you craft, and how that kinda maps on to some of kind of the insights that greater exposure to these experiences actually generates more empathy. Ravi Gurumurthy: And you say my questions are a bit ludicrous to [inaudible 00:19:04] Grant. Grant Gordon: Yeah. Just what are your thoughts on all those things? Viet Nguyen: Well, I think … obviously I believe in the nature of empathy. I believe in the importance of empathy, and I also hope to believe that people who’ve been traumatized would be empathetic to other people who are undergoing traumatic experiences. Viet Nguyen: But all that has to be measured in a certain way, and I’d be curious whether this research, for example, is able to distinguish between the degrees of trauma that people have experienced, and then what happens to them as a result because, again, just looking at what I’ve seen in the results of people who’ve been traumatized as a result of the Vietnam War, it’s true that some of them do develop a greater sense of empathy, but it’s also true that some of them do not. Some of them are so traumatized by their experience that they return that experience with greater hatred, for example. Viet Nguyen: And I’m wondering if there’s a … what also is important is the degree of removal we have from the trauma. Someone who’s directly experienced trauma, they’ve been tortured, they’ve been shot at, they’ve killed people may have a different relationship to empathy than someone like me who is only a witness to traumatic experience. Viet Nguyen: I mean, I’ve been shaped completely by the Vietnam War, but I was too young to really see anything about it, and to say that I was an eyewitness. I’ve only suffered from the consequences of it. Viet Nguyen: So, maybe it’s easier for me in that situation to extend this idea of empathy to others, whereas if I’d been thrown into a re-education came, for example and done 10 years in that camp and come out of it, maybe I wouldn’t be very empathetic. Maybe I would really hate my enemies, and really be capable of not empathy, but hatred and the desire for revenge. Viet Nguyen: So, that’s … that capacity to understand that there’s a spectrum of possibilities that come out of trauma, and the uses of empathy are important for someone like a novelist to have but maybe also for the rest of us to have too because in my own work I try to show that people who underwent traumatic experiences don’t necessarily come out of it being angels. They don’t necessarily come out of it wanting to help other people. They come out of it, sometimes, wanting to engage in more violence, and to continue fighting wars. Viet Nguyen: And that’s also something that we need to recognize in terms of the nature of empathy as well. I mean, empathy is absolutely crucial if you wanna be a writer, if you wanna be an artist in your own work, but obviously we have many examples of writers that and artists who are wonderful in their art, and then horrible as human beings. So, somewhere along the way, that empathy happens to disappear in their own interpersonal experiences. Viet Nguyen: Well, that’s empathy at work, but in a very different context than how I would deploy it. So, I think we have to both recognized the uses of empathy, but not be sentimental about it as well. Grant Gordon: And we’re gonna take a short break. Commercial: Uganda in East Africa has more startups than any other country in the world. But they’re driven by necessity. The number of young people searching for work dramatically exceeds the number of jobs available, so they create them. Commercial: In the podcast Aspen Insight you’ll hear our entrepreneurs, investors, and non profits are working to create jobs and lift people out of poverty. This episode focuses on a program at the Aspen Institute called the Aspen Network of Development Entrepreneurs or ANDE. Commercial: ANDE’s goal is to use entrepreneurship to increase prosperity in developing countries. In Aspen Insights Zach [St Louis 00:22:48] and [inaudible 00:22:49] travel the halls of the Aspen Institute and learn from people who are working to make the world a better place. Commercial: Aspen Insight is a podcast from the Aspen Institute, an educational and policy studies organization. Commercial: Find Aspen Insight on apple podcast or your favorite podcast app. Ravi Gurumurthy: We’re back now with Viet Thanh Nguyen. Ravi Gurumurthy: I read somewhere that parts of the way in which you fill in the gaps in your memory and actually write about refugee experiences is by using the empathy you have through being a father yourself, to imagine what it was like being a young boy of four having to leave their country. Ravi Gurumurthy: I’m just interested in this question about how you use your imagination [inaudible 00:23:34] to your memory, and whether it ever feels awkward, or inauthentic when you’re writing about stories when drawn so heavily on personal experience but then having to fill in the gaps. Viet Nguyen: In much of my writing I didn’t actually draw from personal experience. When I wrote the book “The Refugees” much of that … I mean, yes it was based on the fact that I was a refugee, and I knew a lot of Vietnamese refugees and so on, but I didn’t really draw as much from my emotional depths as I would do in my later work because I was resisting to autobiographical. Viet Nguyen: I didn’t wanna be an autobiographical writer. I wanted to be a fictional writer. And that’s part of my resistance against what’s imposed on refugees and minorities, and when we become writers, for example, we’re only expected to be able to write about what we know, which means write` autobiographically. So, I was resistant to that. Viet Nguyen: And so it took me a long time to excavate autobiographically and to use my own emotions, my own experiences in my fiction and in my non fiction, and in work like “Nothing Ever Dies: Vietnam And the Memory Of War” and started [inaudible 00:24:36] to that. Viet Nguyen: Looking at myself, looking at how I felt, and understanding that even when I was not writing autobiographically I could draw from autobiographical emotions, and I think that’s the point where I started to understand how painful it was to become a writer. And it’s painful to be a writer just when we were talking about questions of artistry and endurance, just persisting with the craft, but it becomes even more painful for me as a writer when I understood that in order to write genuine drama, genuine characters, I would have to sort of look inwardly into myself and my own experiences. Viet Nguyen: And that’s what I mean that I suppressed for so long that experience of being a four year old refugee being taken away from my parents, I didn’t wanna feel that, but in order to be a better writer I’ve had to go and use that emotion, use that experience and that to me felt that it was becoming even more authentic to myself even when I was starting to write about … even when I’m writing about people who are not like me I still had to go look into myself, look at that experience, and that was where the authenticity lay as in trying to keep drilling into that emotion, trying to understand it. And in becoming a father, having a son who then became four years old last year, it felt to be that I had to keep looking at myself as a father, had to keep looking at him as a child in order to better understand myself, my emotions my history. Viet Nguyen: And the only places where I begin to feel inauthentic is when I have to start repeating myself over, and over again. So, I’m on the lecture circuit. I go and I tell many of the same stories over, and over again. The same kinds of stories I’m sharing with you and about my family, and everything else, and after about the 10th or 50th time I’m thinking, “Is this still authentic if I keep on telling this story? Is it still authentic?” And I have to say that there is a sense in which I felt maybe it is inauthentic to keep on telling the same story over and over again, but then I think for most of the audience they’ve never heard this story before. Viet Nguyen: So, for them there is something authentic about that. And that’s where I have to … I remind myself, I have to keep on telling this story because I have to keep on reaching these new audiences because for them hearing about displacement, hearing about loss, hearing about what it means to have a four year old removed from his parents for both that four year old and for those parents, that is new. That is authentic. Viet Nguyen: There’s still a mission to be had in telling the story over, and over again. Grant Gordon: So, I wanna pick up on a few pieces there, but just on this last one, what about the process of repetition generates a sense of inauthenticity? Viet Nguyen: Can I still feel something? I mean, the authentic, I think we associate with feeling. If there’s an automatic emotional expression or an automatic emotional touch zone, that’s authentic because we’re not being rational about it. Viet Nguyen: And I have to say that when I first started going to lecture circuit a few years ago as a result of the sympathizer, I was very much conscious of myself as a storyteller. I was trying to craft a story, but also conscious of not revealing too much of myself. I didn’t wanna stand up in front of an audience of hundreds, sometimes a thousands people, and have to cry. That to me actually felt inauthentic. I don’t wanna manipulate the audience. I don’t wanna manipulate myself. Viet Nguyen: So, I actually resisted going too deep into myself in front of an audience. And then as the story evolved as I tried to figure out how to reach that audience, and reach myself I started becoming more personal in front of the audience but not because I wanted to cry. I didn’t wanna do that, but then all of a sudden, at some points I was literally overwhelmed in front of the audience. This was a very authentic, and disturbing experience for me because I didn’t wanna cry, and I found myself crying in front of that audience. Viet Nguyen: And I realized it was through the repetition, trying to figure out what the story was that I was able to … eventually drove deeper into myself, go back to that four year old self, go back to that four year old experience, and discover that it had enormous emotional experience for me. That and a number of other things that had happened to me and to me family. Viet Nguyen: So, I felt that the repetition was actually absolutely crucial to trying to figure out where that emotion was. Where was it? Under the surface. I had to keep repeating to try to drill deeper, and then it reached a certain point where I’m wondering whether there’s anything deeper to get to. This is where I’m reaching the sort of equilibrium between authenticity, and inauthenticity. Viet Nguyen: And I feel like, “Well, I still have to keep repeating because I don’t know where the repetition is going to lead me.” And that is actually part of traumatic experience. People are traumatized, and I’m not saying that I’m as traumatized as many, many other people. I think my trauma is actually not that great compared to many other people, but the nature of traumatic experience is repetition. Your traumatic course, something that repeats itself inside of you and that you have to keep on telling. And maybe that’s the only way to actually cope with that. Viet Nguyen: And who knows where the repetition is going to lead both for me personally, but also for the audience as well. Grant Gordon: I was not invited. Ravi Gurumurthy: Grant was not invited. It was about him fleeing Burma during the second World War. And it was interesting because he was telling a story for the first time on record, and what struck me is that it had a lot more coherence when he had a mic in front of him than when he was rambling on our sofas when we were growing up. Ravi Gurumurthy: And I think a part of that is about … there’s something about being forced to tell a story that makes you fill in the blanks. Ravi Gurumurthy: So, you’re not allowed to have fragments, and contradictions. You have to give it some sort of coherence. Ravi Gurumurthy: And I’m just wondering about when you’ve told your own story, to what extent has it ended up becoming more coherent as it’s evolved, and as it’s almost changed your own sense of self as you’ve risen about it? Viet Nguyen: Absolutely. I think as I was telling this story over time I had to be conscious of the impact it would have upon the audience. Viet Nguyen: So, there’s really two audiences. One is the audience of me, and me trying to deal with my own personal history, my own personal past, and then there is the audience that I’m speaking to when … and for me as I’m this person sitting on a sofa talking to myself for example the events of my past having emotional significance for me but those events may not have emotional significance for the audience. Viet Nguyen: So, for them to experience anything like what I’m experiencing I understand that I, as a storyteller, have to put these events into a narrative. And I don’t think that’s inauthentic. I mean, that’s the role of the novelist, or the writer, or the storyteller of any kind is to try to figure out how to trigger an emotion in the person who’s listening that approximates the emotion that I, myself am experiencing. And as I go around talking to different audience, what I’m trying to get them to understand is not simply that they’re listening to a story, and they may be feeling something, but that they themselves are their own story tellers, that they themselves are going out there oftentimes repeating stories that they have heard, and that they have intuited, and that they have taken to be natural. Viet Nguyen: And the reason why they’ve done that is because they’ve been impacted so powerfully by these stories without even realizing it. So, for example, make america great again is a story. It’s an enormously powerful story. It’s [inaudible 00:32:03] story actually in just four words that many have already believed in and now have the affirmation to continue believing in, and to tell to other people. Viet Nguyen: Well, I go out there in front of an audience and say, “Well, you have to tell a different story. Here’s my version of the story that I’m trying to use there to deploy against make America great again. So that’s what happens. Viet Nguyen: And as I tell my own story one of the things that happens is that I remember things, as you imply. So, there are one or two things that stand out in my memory, probably stand out in all our memories of our own personal histories, but as I tell my own story I have to sit back and think about my own childhood for example and start to remember things that I haven’t remembered for a very long time. And understanding that those things are a part of me that I’ve forgotten about them, and that I can put them into a larger framework now. And that’s partially what we all do ourselves. We forget. We remember. And when we start to remember we then have to put things into a narrative to make sense out of ourselves to ourselves, which most of us, I think oftentimes never have to do. Viet Nguyen: We can be completely self reflective, and that’s what leads to repetitive behavior, things that we don’t understand about ourselves we keep on doing again in ways that negatively affect us, and negatively affect others. Viet Nguyen: So, that’s why it’s important to have an audience whether it’s an audience of hundreds, whether it’s an audience of our family, whether it’s an audience of our therapist, so we can try to tell these stories to them and to ourselves in order to make sense out of ourselves, and hopefully help us deal with who we are, and with our own past. Ravi Gurumurthy: While you were talking about that just reminds me what [Keith 00:33:44] talked about when he talked about the negative capability. Someone being capable of being in uncertainties, mysteries, and doubts without reaching after fact and reason ’cause I think there’s a balance between telling stories to try and make sense of your own self or versus actually recognizing the ambiguity and gaps in your own narrative, and embracing that. Grant Gordon: But to also add on here, and this is something I think about frequently is a lot of the trauma that we’re kinda peripherally discussing right now that you’ve kind of outlined some of the different levels of, Viet is really hard to sit with, and hard to process, and I’ve seen this in kind of some of my family members, my grandparents were all kind of victims in World War II, and survivors, and lots of family members and friends kind of down the line. Grant Gordon: And you see, or I’ve seen over time at least, that a lot of the narrative really changes every time the story’s told because the trauma that’s at the core of the story is not easy to coexist with, and the story changes incrementally to become a little bit more comfortable to sit in whether it was your behavior or what was exacted on you externally. Grant Gordon: And it’s the ways in which people reconstruct memories and narratives to be able to kind of get by with, and that’s actually where I think oftentimes a departure from truth is a departure that’s more kind of mentally sustainable, but maybe quite far. Viet Nguyen: Well, that goes to the nature of trauma, right? Viet Nguyen: I think that if someones has been horribly traumatized by some kind of event, and they can’t tell the story about it, then they actually are not able to cope with that trauma. This is where the repetition comes in, right? Viet Nguyen: Something horrible has happened to you and it has shaken you to the core, and it is a part of your core as a matter of fact, and if you cannot tell a story about it, it will continue to shake you. Or it will continue to be embedded in you waiting to resurface in ways that you can’t control, you can’t articulate, you can’t make sense out of. And that’s true for a lot of people. Viet Nguyen: So, there is a difference between that kind of traumatic experience, which is destructive, and continues to destroy people even in the present, and what you’re talking about, which is … and you’re absolutely right when people start to tell stories about their trauma, they’re trying to make sense out of it. They’re trying to contain it in various ways. They’re trying to contain the damage, and they’re trying to do that by taking control of the trauma, by putting it within a story. Viet Nguyen: Trauma resists stories. By definition a trauma is not a story. A trauma is just the pain, the horrible incident. A story puts that incident into a narrative, creates villains, creates heroes or anti heroes, whatever, puts you yourself as a protagonist into that narrative of protagonist who has survived, who has become a different kind of person then the person who was damaged. Viet Nguyen: And so, you’re absolutely right that a story, I think, inevitably distances us from trauma in both ways that are good, and necessary, but also ways that create distance from the horror and the pain itself. Viet Nguyen: So, this is the contradiction built in into the act of storytelling. And it’s true no matter what kind of traumas that we’re talking about. Viet Nguyen: So, I can point, for example, to a trauma that’s not my own which is the Cambodian genocide and if you go to Cambodia, for example, when you go to the S21 Museum that is built on this prison where 17,000 people were murdered by the Khmer Rouge, what you witness over time as that museum grown is that the story telling begins to distance people from the trauma. When you go there in an earlier point in the museum’s history the trauma is right in your face. There are just skulls that are sitting out there on the museum ground. That’s horrifying. Viet Nguyen: And then as the years have passed, now the layers of storytelling have begun to accrue, and the museum begins to look more, and more like the European museums of the Holocaust. You go into the European Museums of the Holocaust, these museums, they’re dealing with horrific, traumatic events but they’re also beautiful museums at the same time. The archiving, the curation, the story telling, the narration, these have all come in to mediate our relationship to this horror of the past. Viet Nguyen: So, yes we get to see the horror, but it’s put into a storytelling context for us, and there’s no way we could approximate what actually happened to those people in those camps, but that’s how we also deal with that. That’s how we are able to try to not survive it, but make sense out of what happened to them as well. Grant Gordon: So, let me just take on a kind of a similar variant. I know that you’ve taught a course at USC called War And Memory, and a lot of what we’re talking about kind of gets at the core subjects but if you were to take a step back, what do you think one or two of the three things that you kind of commonly teach and try to have people understand in that course is? Viet Nguyen: I think the most difficult thing that I try to get people to grapple with is that at the core of War And Memory, for example is the process of remembering and forgetting. We’re remembering war or some kind of traumatic experience but we’re also forgetting at the same time because it’s simply impossible, obviously, to remember everything. We have to forget. Viet Nguyen: Now, at that point then the question becomes what do we remember, and what do we forget? And what’s really difficult, I think for people to get their minds around is the fact that what they take to be so crucial that needs to be remembered oftentimes allows them to forget something that is completely contradictory to their own sense of themselves. Viet Nguyen: So, for example, at on of the core histories in memory studies, especially war memory studies, is Holocaust studies. And obviously what comes out of that is these slogans always remember and to never forget. What happened in the holocaust? What happened to Jewish people? Obviously we should always remember and never forget, but in fact we do forget. We don’t forget what happens to Jewish people but we do forget that Israel, in the present case, may be doing certain thing to the Palestinians. Viet Nguyen: Now, when you raise an issue like that people get very, very upset. It’s impossible that victims could ever become victimizers. Now, that’s hugely debatable in the Israeli-Palestinian context, but overall this impulse in war and memory to remember ourselves as victims but to forget that we could ever be victimizers is fairly universal. Viet Nguyen: If we talked only about the United States, the way that the United States makes sense out of itself as a country generally speaking is to remember itself as a victim. 9/11 we’re the victims of this terrible thing that happens to us, which is precisely then what allows the United States to continue doing what it does overseas where the United States really isn’t a victim, but is in fact a dominant power. And that does not make the United States unique. It actually makes the United States very typical, very normal, it happens in my own history, my own community. Viet Nguyen: The Vietnamese in Vietnam who won the war, they think of themselves as victims too. They were victimized by the French. They were victimized by the Americans, there’s no way they could be victimizers, and yet that’s exactly what they did to the Vietnamese that they defeated, and the Vietnamese that they defeated who became refugees in the United States many of them think of themselves only as victims. They lost their country, they were victimized by the Vietnamese communists. It’s impossible for them to have victimized anybody else, and yet if you look at the history of South Vietnam that’s exactly what took place. Viet Nguyen: So, if anything that’s, I think, the core lesson of my classes on war and memory because it’s precisely by forgetting what we have done to others, remembering ourselves only as victims that we allow the cycle of warfare to continue. The very kind of cycle that we [inaudible 00:41:47] say we don’t wanna repeat is exactly what we allow to continue by remembering ourselves only as victims. Ravi Gurumurthy: Viet, we talked a lot about personal stories, and how individuals make sense of their past, but what you were getting at there, I think, speaks to something else I wanna get onto. Just how nations construct narratives, and myths. Ravi Gurumurthy: And right now, when we’re thinking about the biggest refugee crisis since World War II we’re always thinking [inaudible 00:42:12] how do we create a narrative that is inclusive that brings people on board? Ravi Gurumurthy: I’m interested in your views and advice on how you tell a story about what’s going on in the world today that potentially widens the circle of support. Viet Nguyen: That’s a task of, again, of storytelling and of empathy. Viet Nguyen: Make America great again, for example, is a powerful story, but it’s also a story that has empathy in it. When Donald Trump got up and did his inauguration speech and said, “American carnage is taking place, and you will never be forgotten again,” he’s exercising empathy. He’s saying, “Hey, I’m empathizing with you,” but the you does not include me or people like me. Grant Gordon: So, your insight there on moralities being one of the driving parts of the narrative strikes me because one of my observations around a lot of the conversations about refugees right now, and thinking about the displacement crisis is one that tries to reframe refugees as rather than being a cost on society as kinda bringing it down as an investment. Grant Gordon: And I often find there to be kind of contradictory expectations from refugees. On one hand if refugees are doing well, they’re taking our jobs. On the other hand if they’re doing poorly, they’re kinda becoming a drag on the welfare system, and bringing down society. So, if they’re successful there it’s a failure, and if they’re actually not doing well it’s a failure, and I often wonder of just the way that, that conversation has gone around the economics of the crisis is actually the wrong frame. Grant Gordon: And we’d love to get your thoughts on that. Viet Nguyen: But of course once these good refugees and good immigrants start to become successful, then they become too competitive. They become too scary because they’re gonna take away American jobs or they’re gonna move into our neighborhoods, and take over our homes and all of that. Viet Nguyen: So, I don’t think we can win on that language. That language is purely tactical. So, when we trot out the idea that … let’s look at all these refugees, let’s look at all these immigrants, and ensure that they pay their share of taxes, and so on we’re, I think, mostly speaking to people who already believe in the goodness of accepting refugees and immigrants. Viet Nguyen: Underline all of that, I think, is not just an economic question and a moral question, but a cultural question. People who resist refugees and immigrants, I think, are really resisting them at a cultural level. They’re using these other arguments about economic cost, for example, or legality at the frame of an irrational fashion, but I think at the very core of it is a cultural question like who are we as a country? Who are we as Americans? Viet Nguyen: And the specter of refugees and immigrants becomes threatening because they are not Americans. They don’t fit our idea. Whoever we are, they don’t fit our idea of what this country should be. Viet Nguyen: So, it’s probably not an accident that the current administration would probably be happy with Canadian immigrants for example or with Swedish immigrants and so on because we’ve already been through that process as a country. In the early 20th century we rustled over the question of who was an American. Was a Swedish person an American? Was a German? Was a Greek? Was a Polish person an American? Those were contentious debates in the early 20th century. They’re no longer debates. Viet Nguyen: So, those people can be welcomed because they’ve already become culturally assimilated into American society, but Mexicans or Central Americans, or Asians, or Africans these people are culturally in-assimilable according to a certain kind of American. So, that’s where, I think, the real struggle lies, and everything else is sort of a super structural aspect of that. Viet Nguyen: So, that is really … when anti immigrant and anti refugee people are framing the issue as an absolute crisis for American identity, they’re right. We are in a struggle of over what America is and who America is, and there are some people who would wanna maintain that American should be homogeneous, and there are others who are saying, “We should be an America built upon differences” and this is really at the core of the debates and the battles that we’re undergoing right now. Ravi Gurumurthy: And do you now think that the more we actually talk about embracing difference all we do is tell those people who are already concerned that their communities have changed, that we don’t actually recognize them, and respect their values and aspirations? Ravi Gurumurthy: I’m sort of interested in whether you feel that those views that you’ve talked about are legitimate, and how we actually best negotiate with them. Viet Nguyen: Well, that’s where we are definitely no in the political terrain because in the political terrain it’s not always possible to come to reconciliation. It may be a situation which someone’s side feels that they have lost something. Viet Nguyen: I don’t think that’s actually true. I think that if we talk about an America built on differences it’s an America that can actually accommodate, for example, white Christians if that’s a population that we’re talking about. Viet Nguyen: But if you’re a population that sees this struggle over America as a zero-sum game than you don’t see this as a compromise. You see the idea of an America with differences as an America that you’ve lost. Viet Nguyen: Now, if that’s a situation we’re actually in a political moment where that perspective can’t be accommodated, and this is why the political battles that we’re undergoing right now over what the Trump administration represents, what the Kavanaugh nomination to the Supreme Court represents has become so bitter because, I think, one side does see it as a zero-sum game, and that side also sees people like me as engaging in a zero-sum game too. And I don’t see it that way. Viet Nguyen: When I say that there’s an America with differences I would say that, that’s an America that can include everybody, including white Christians for example or supporters of the Trump administration and so on, but there has to be a compromise. There has to be a recognition that those folks can also recognize someone like me as well. Viet Nguyen: There has to be a process of mutual recognition. And if there is not a process of mutual recognition then we get into a longer term political struggle over what the next generation will believe. And I think that’s exactly what’s going on. Ravi Gurumurthy: And [inaudible 00:51:20] have written prolifically about some of the issues we’ve been talking about what’s driving you on now, and what do you wanna do next? Viet Nguyen: I think what’s driving me on is this sense of both the urgency of the contemporary situation that it is important to engage in these tactical struggles over who gets nominated to the Supreme Court, whether or not we should allow undocumented immigrants in, whether DEACA will continue, whether people will be granted amnesty. All these things are important contemporary, urgent political struggles that I feel like I’m a part of or that I’m aligning with people who are fighting for these kinds of things, but all that takes place within the larger horizon of what’s gonna happen 20, or 30, or 50 years from now. Viet Nguyen: What’s gonna be America of the next generation? And that has a global significance as well, but even just speaking within the context of the United States I want a United States that will be a better country for my own son. I wanna have a United States in which his generation will take it for granted that we are an America built on differences rather than a monolithic America. Viet Nguyen: So, we can look at other struggles. The struggle over gay rights and queer identities, and queer possibilities for example and think, “Well, actually in the course of the past generation we have made significant progress in that regard. We have made a significant generational change in perceptions and attitudes, and hopeful we won’t go backwards in that sense. Viet Nguyen: That’s what I hope also as we discuss what the next generation will perceive in terms of immigration, in terms of refugees, in terms of cultural differences, that an overwhelming majority of the next generation will take it for granted that we are a country that is built on differences and can survive on differences, and that can welcome all kinds of differences. Grant Gordon: So, as we wrap I was wondering if you could provide some recommendations on arts whether books or not that you think our adience members should look at. Viet Nguyen: We live in a country in which the idea that art and politics can be merged together has been something that many people resist because in this country we have a strong anti communist tradition, and there’s this perception that the only people who wanna bring art and politics together are the communists for example, and that’s a bad thing, but that’s simply not true especially from marginalized populations. Viet Nguyen: For us, art and politics have always exited together because we could clearly look at the world of art and literature for example and can see that we’ve been excluded. That’s a political exclusion that masks itself as an aesthetic conclusion. Viet Nguyen: And one of the most vibrant traditions that has always insisted that art and politics comes together is the African American tradition, so go and read Toni Morrison, who’s always written about black people and black women in particular, and insisted that the experiences of black women and black people are inherently universal. Viet Nguyen: Go read James Baldwin. Go read Ta-Nehisi Coates. 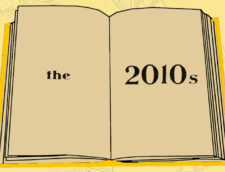 But other writers besides those, for example, would include someone like Tommy Orange, who’s written a great contemporary novel called “There There” about the urban native American experience and read the first 20 pages. There’s no way you can come away from that thinking that Thanksgiving is not also about genocide at the same time. Thanksgiving is genocide. That’s the world that we live in where both these things can coexist simultaneously because that’s our history. Viet Nguyen: Go read Luis Alberto Urrea’s “The House Of Broken Angels” set on the border of the United States and Mexico in San Diego, which makes this claim to be a great American novel not in the sense that as a great novel only about the United States, but it’s a great novel about the United States and Mexico, the greater Americas. Viet Nguyen: So, there’s so many books like that, that press upon us the urgency of rethinking America from the perspective of others, from the perspective of the marginalized, from the perspective of the borders and the border lands that continue to urge us as a country to expand our notion of what this country is and to expand our imagination through art and literature. Ravi Gurumurthy: You’ve given us a fantastic reading list to get into, and we will throw all those up in the show notes along with all your books. 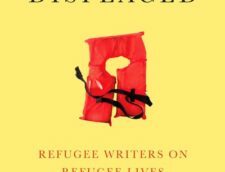 Ravi Gurumurthy: Viet Thanh Nguyen, thank you so much for being on Displaced. Viet Nguyen: Thank you so much for having me. 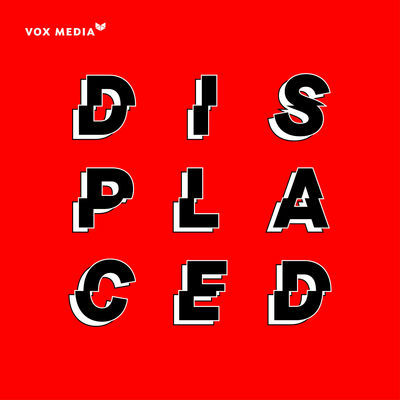 Ravi Gurumurthy: Thank you for listening to Displaced. We’ve now gotta thank a lot of people, he says miserably. Grant Gordon: [inaudible 00:56:03] is our executive producer. [Julani 00:56:06] Carter, a special shout out to him in particular for everything he did for today’s show. Grant Gordon: We’d like to thank our senior producer [inaudible 00:56:12] Arthur. Grant Gordon: A special thank you to Paul [Rest 00:56:14] at Argot Studios, and Jarred Floyd, our sound engineer. Ravi Gurumurthy: I suppose we’re gonna thank some people at IFC as well, aren’t we? Grant Gordon: We like them. Ravi Gurumurthy: Thank to Ben [Moscowic 00:56:22], and Catherine Long. Ravi Gurumurthy: Alex [Bandea 00:56:25], thank you so much. We really appreciate you. Grant Gordon: We are hugely grateful to all the support and hugely grateful to all of you who are listening. Ravi Gurumurthy: Thank you for listening. This is our last episode of the season, but we’re back in January. Grant Gordon: I’m gonna be sad. I’m gonna miss doing this. I’ve grown a lot. Ravi Gurumurthy: I’m not. I’m gonna really enjoy not having to sit in a room with Grant. Grant Gordon: You’re gonna still have to sit in a room with me, just not with headphones on. Grant Gordon: This has been a fantastic season. We are so grateful to everybody who has tuned in to listen. We appreciate the conversation, the feedback you’ve given, and all the ratings and reviews. Grant Gordon: Fear not though, we will be back in January with fresh, new episodes. Ravi Gurumurthy: And in the meantime you can tweet us at @grantandgordon and @rgurumurthy with all your ideas for the new show, and any feedback you’ve got. Grant Gordon: In this next season we’ll be tackling big topics like refugee resettlement, the future of conflict, technology’s role in the refugee crisis, and otherwise. Grant Gordon: So, thank you again, and we will see you in January.